Take frequent rest stops, exit the car and move around. Stretch your muscles. Set your driver’s seat so your elbows are well below your shoulders. Be sure that you “fit” well in the car that you are going to purchase. Begin your trip and adjust the mirrors. Don’t re-adjust them as the trip progresses instead adjust your body to return to your initial position. Seek advice and treatment from your Physical Therapist if you develop pain following a long trip. Road trip! When the holidays come around many of us will load up in the car and travel long distances. Holidays, vacations and sometimes even business trips may cause us to spend hours and even days in the car. While road trips can be an adventure, they can also lead to low back pains, stiffness, shoulder pain, leg cramps and more. Prolonged time sitting in one position can cause a host of problems for the musculoskeletal system. Proper driving ergonomics and some practical steps can reduce your chance of experiencing an onset of painful symptoms. You should plan to make frequent rest stops to break up the trip, so that you can get out of the car. When you plan your trip, you may have specific concerns about particular symptoms listed above. Seek the advice of a Physical Therapist. These healthcare professionals are trained to help you prevent injury that will limit your functional capabilities. Like a well designed “work-station” your car and specifically your driver’s seat and space must be ergonomically correct for it to be comfortable and safe. Ergonomics is a science that attempts to match modern biotechnology and engineering with the production of comfortable and safe products. These products are designed to reduce the stress and strain on the musculoskeletal system especially when the different body parts are going to be in one place for a long time or repeatedly performing the same task or movement. The car is no different. Driving ergonomics means involves well designed seating and space to help reduce the stress and strain on the spine (neck and low back), shoulders, hips and legs. If any one of these areas are not comfortable and placed in a good healthy anatomical position they can be injured by the end of a long trip. Likewise, the seat and space has to be conducive to being able to perform as a driver. The more adjustable the space is, the more adaptable it will become for you and others that might drive the car. The human spine is comprised of three curves and from the side it looks like a series of “C” curves. The curves place the different parts of vertebra together so they can handle the different amounts of compressive and sheer forces that occur during everyday motions. If these curves are compromised for any reason, pain can occur. If they are compromised for a long period of time or due to an excessive amount of force, damage can occur to the soft tissues that hold the joints together. You can protect these curves by making sure your driver’s seat is correctly set. Start by sitting up as tall and straight as you can with your shoulder blades against the back of the seat. Adjust the rearview mirror. 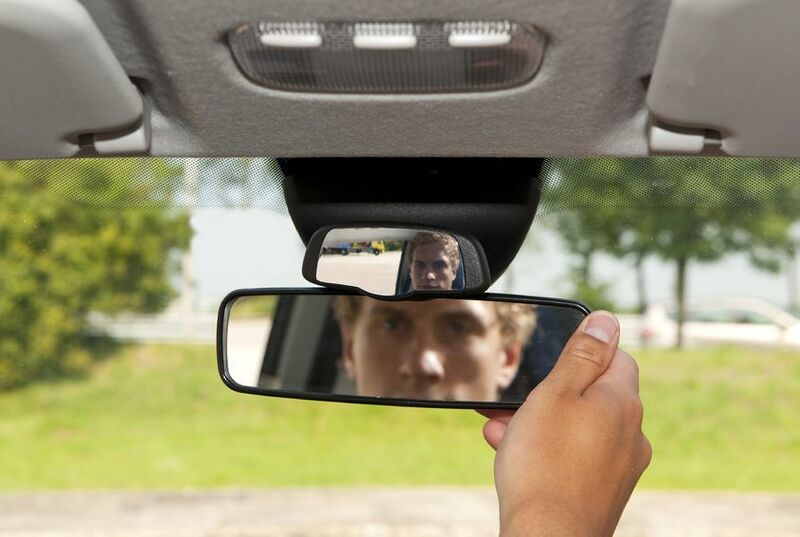 You will realize that you have “slouched” later on in your trip if you look into your rearview mirror and you are looking at the ceiling of the car and not out the back window. Adjust the lumbar support to fit snuggly against your lumbar spine (low back). If you can lower the front of the seat (up by your knees) so your kneecaps are below the level of your belt it will help to maintain the lumbar spine “C” curve. Your knees should be slightly bent to reach the pedals. Be sure to have the head rest raised to a level that is equal to the back of your head. If is too low and you are in an accident, the rest can act as a fulcrum and cause more damage to the C-spine. The shoulder is more susceptible to the onset of painful symptoms. Maintaining your shoulder at a 90-degree angle (in front, flexed, or out to the side, abducted) for a prolonged period of time can “close or impinge” the space below the bone on the top of the shoulder (Acromion). You can eliminate the excessive compression in the space under the bone by keeping your arm below the shoulder level. Rest your elbow on the console or door near the window. Try to hold the steering wheel at the 3-9 or 4-6 “o’clock” position. Also, if your arms are held at the traditional 2-10 “o’clock” or higher, you can develop tendinitis in the front of the shoulder. Drivers tend to lean the knees against the console or door. If either knee is “rolled” outward for a prolonged period of time, you can develop very tight muscles (External Rotators – specifically the Piriformis) in the side of your buttocks. This can lead to pain on the side of the hip when you walk and possibly send referred symptoms (tingling, pain or numbness) down the leg. Try to keep your knees away from the console or door and stretch when you stop to take a rest from driving. Also, if you place your wallet in your rear pants pocket, this can lead to compression of the same nerve (Sciatic) and develop similar symptoms. Driving for long hours without taking a break can lead to pain. After sitting for an extended period of time, your ankles and lower extremity muscles will get “tight” and your knees and ankles will feel very stiff if you. Try to straighten and flex your left knee and move your left foot in circles to keep them from getting too tight. 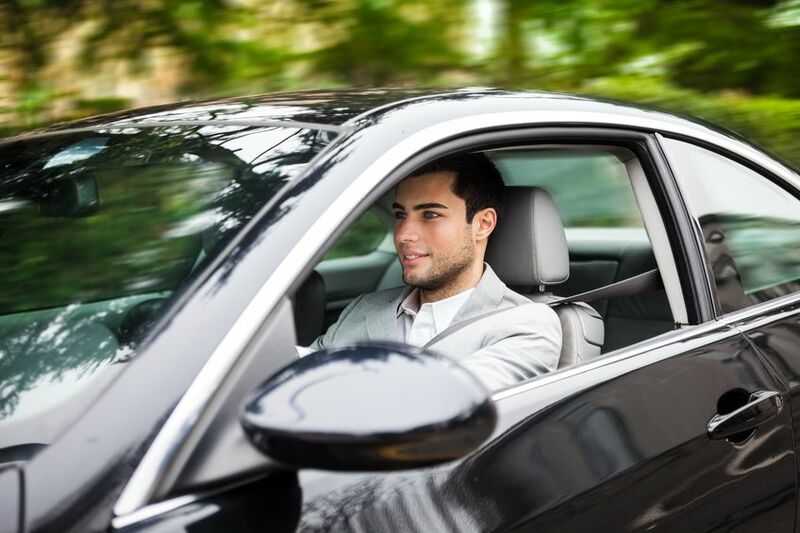 It’s a little more difficult with your right leg because you have to keep your foot on the gas pedal. Try to move your right knee and ankle in similar fashion as the left, but for very brief periods of time. Place your car in the “cruise” control mode and you will have the freedom to move your right leg as you wish. At some point, we all end up driving for long periods of time. This can be very taxing on the musculoskeletal system if we don’t take precautionary measures to avoid placing excess stress and strain on this system. Take frequent breaks and adjust your “driver’s station” to an ergonomically correct position and you will reduce your chances of experiencing an injury while being behind the wheel. Ask your Physical Therapist for some helpful suggestions that will help you survive a long trip behind the wheel.